The worst drought in recorded California history will take a severe toll on the regional and American economy, particularly in the agricultural, fishing, tourism, and even energy industries. The drought, which President Obama and U.S. Secretary of Agriculture Tom Vilsack have linked to climate change, may result in an $11 billion loss in annual state revenue from agriculture according to the California Farm Water Coalition. 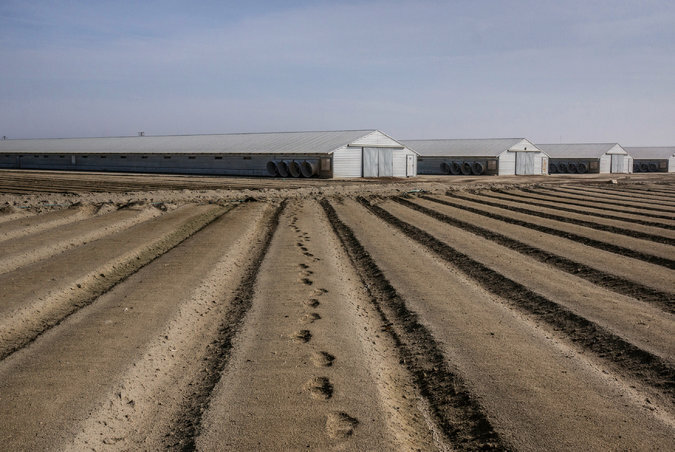 Farmers may be forced to fallow up to 500,000 acres of land during this year’s planting season, threatening some with bankruptcy and endangering the livelihoods of the 117,000 Californians who work in farm production, processing and transporta tion. While the wine industry and its associated tourism is suffering, livestock farmers may be taking the hardest hit as parched pasture is replaced with expensive imported feed. In the highly fertile Central Valley jobs directly related to agriculture comprise nearly 40% of employment. Previous droughts have seen unemployment in some towns skyrocket as high as 45%, while the 2011 to 2012 drought took an estimated $50 billion toll on the American economy as a whole. The availability of hydroelectric power, the state’s cleanest and cheapest energy supply, has also been adversely affected. The state’s salmon population could be severely affected, particularly if legislation from four California and Oregon senators is passed that would allow more water to be diverted to farms. The bill would contradict EPA regulations that protect fish stocks in the Bay-delta estuary. According to the National Resources Defense Council, the regulations themselves sustain thousands of jobs associated with the fishing industry and preserve water quality for regional farmers. California Governor Jerry Brown has announced $687.4 million in drought relief funding drawn partly from voter-approved bonds and the state’s Greenhouse Gas Reduction Fund. Money will go to local governments and agencies for water conservation and efficiency projects, food assistance, and emergency drinking water initiatives for communities facing severe water shortages. President Obama’s response to the drought includes $100 million in federal aid to livestock ranchers, as well as $15 million for areas hit hardest by the drought, and $60 million for California food banks. This entry was posted in United States and tagged Agriculture, California, Drought by Ava Lightbody. Bookmark the permalink.